1031 Exchange Florida - Asset Preservation, Inc.
Robert Biggs is the North Florida Division Manager with Asset Preservation, Inc. Prior to joining Asset Preservation, Mr. Biggs was in the real estate industry for over 20 years. His experience in this arena is a tremendous benefit to clients in 1031 tax-deferred exchanges. Robert’s other experiences include Associate District Director of Administration with the Department of Veteran Affairs. Robert has an extensive background in IRC §1031 tax-deferred exchanges and every aspect of real estate transactions, having worked many years in the real estate industry. He focuses on educating and servicing investors, attorneys, real estate brokers, agents, accountants, and financial advisors throughout North Florida. His exchange presentations are practical, thorough, and feature many real-life exchange scenarios to illustrate a wide range of investment and tax strategies. Asset Preservation, a subsidiary of Stewart Title Company, is a leading national IRC §1031 qualified intermediary and is efficiently handling exchanges throughout the country. Combining a national title company as a partner has proven to be the approach of choice by astute investors. Asset Preservation is one of the most respected national qualified intermediaries in the United States and has successfully completed over 180,000 1031 exchanges throughout the nation. Mr. Biggs holds a Masters Degree from Barry University-Miami Shores, FL. 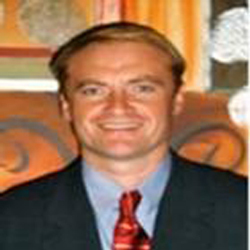 Thomas Russell is the South Florida Division Manager with Asset Preservation, Inc. Prior to joining Asset Preservation, Thomas was in the real estate and finance industries for over 20 years. Recently, Thomas was a Senior Account Executive at Costar Group. His other experiences include Account Executive with FOR 1031 and Senior Consultant with Marvin F. Poer & Co.
Thomas has an extensive background in IRC §1031 tax-deferred exchanges and every aspect of real estate transactions, having worked many years in the real estate and 1031 exchange industries. Thomas focuses on educating and servicing investors, attorneys, real estate brokers, agents, accountants, and financial advisors throughout South Florida. His exchange presentations are practical, thorough, and feature many real-life exchange scenarios to illustrate a wide range of investment and tax strategies. Asset Preservation, a subsidiary of Stewart Title Company, is a leading national IRC §1031 qualified intermediary and is efficiently handling exchanges throughout the country. Combining a national title company as a partner has proven to be the approach of choice by astute investors. Asset Preservation is one of the most respected national qualified intermediaries in the United States and has successfully completed over 180,000 1031 exchanges throughout the nation. 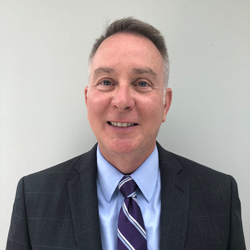 Thomas holds a Masters of Business Administration with a concentration in Real Estate Construction Management from the University of Denver and holds a Bachelors of Arts in Finance from Cleveland State University. I found the process to be very easy to follow and the documentation supplied to me was helpful, clear and informative. I felt API was very thorough and knew exactly what they were doing. I have referred several people to API. My Realtor and my lawyer both said they found API’s services very helpful. They both referred to the API website frequently to answer questions and learn more about 1031 exchanges. I’m very glad to have found you. Very knowledgeable, quick response time to my questions. Flawless execution, even at the 11th hour. Thank you! We have done many tax exchanges, but I hope never to do another without API. I was very happy with the ease in which things were started and completed. Thank you all! I never recalled that I didn’t receive a timely call returned, I thank you for your help! Without you I would have paid the IRS about $30,000. The help I received from Scottsdale, AZ is noteworthy, also. Great instructor, knowledgeable, excellent class! Great Topic…great instructor…a must for all real estate agents. Best 1031 exchange presentation I’ve ever attended. The following is a list of topics that may be helpful for 1031 exchange Florida customers. Contact Asset Preservation today for information about completing a 1031 exchange in Jacksonville – Duval County, Miami – Miami Dade County, Tampa – Hillsborough County, Orlando – Orange County, St Petersburg – Pinellas County, Tallahassee – Leon County, Fort Lauderdale – Broward, West Palm Beach – Palm Beach County, Port St. Lucie – St Lucie County, Naples – Collier County, and throughout the state of Florida.